Did FedEx know it was shipping drugs? FedEx was indicted Thursday for allegedly shipping prescription drugs from illegal online pharmacies to dealers and addicts , according to documents filed in federal court. The shipping giant, however, said it is innocent and will plead not guilty. While some Internet pharmacies are managed by well-known chains and follow proper protocol, others fail to require a prescription before filling orders. Instead, they only require a person to complete an online questionnaire, without meeting with a physician. "The advent of Internet pharmacies allowed the cheap and easy distribution of massive amounts of illegal prescription drugs to every corner of the United States, while allowing perpetrators to conceal their identities through the anonymity the Internet provides," said U.S. Attorney Melinda Haag. She added: "This indictment highlights the importance of holding corporations that knowingly enable illegal activity responsible for their role in aiding criminal behavior." It also revealed the aggressive behavior of some recipients, who would jump on trucks, threaten drivers and demand their shipments immediately. In response, FedEx would hold packages from problematic shippers at area pick-up stations rather than deliver to recipients' addresses. The prosecution was the result of a nine-year investigation into shipments from two pharmacies between 2000 and 2010. A spokeswoman for prosecutors would not comment on whether other shippers would face charges, too. A conviction could mean up to $1.6 billion in fines and penalties, according to prosecutors. 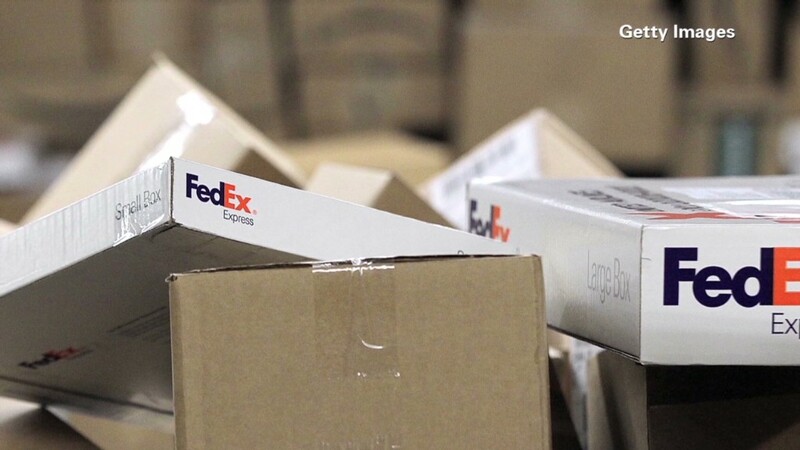 FedEx (FDX), which ships 10 million packages a day, said it has provided assistance to federal authorities combating rogue Internet pharmacies. "We continue to stand ready and willing to support and assist law enforcement," said spokesman Patrick Fitzgerald. "We cannot, however, do the job of law enforcement ourselves." The company will appear in federal court in San Francisco on July 29.